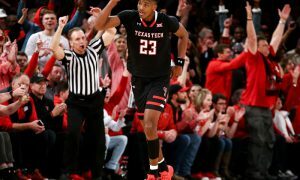 Texas Tech remaining undefeated in the Big 12 wasn’t going to last forever. And Iowa State made sure of that on Wednesday night, winning 68-64 on the road in Lubbock, Texas. Surely, had this game been at Hilton Coliseum in Ames, Iowa, there would have been a much more massive celebration. After all, it’s not every day you beat a Top 10 team. So how did we get here? 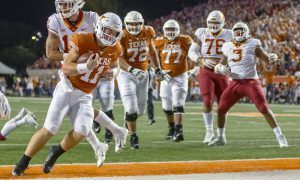 I mean, just a week ago Iowa State (13-4, 3-2) was undefeated in Big 12 action, on the road in Waco and fell to the Baylor Bears. I gave them more of a chance in that game than I did against Texas Tech (15-2, 4-1), which had only lost to Duke so far this season. I made the point on Twitter during the game that Iowa State was doing something that all teams must do when facing a team on the road that looks superior on paper — match their defensive intensity. That’s hard to do against Texas Tech, which boasts one of the best defenses in the country. Tech entered the game No. 2 in scoring defense (54.0 ppg) and No. 1 in field-goal percentage defense (33.8 percent). I thought Iowa State did that on Wednesday night. Tech shot 41.3 percent from the floor, 33.3 percent from the 3-point line and 40 percent from the foul line (more on that stat in a bit). So by matching that intensity ISU took the first step toward winning this game. Step two was the transfers, Marial Shayok and Michael Jacobson. One could have easily billed this game as a matchup of the Big 12’s two best individual players to this point — Shayok and Texas Tech’s Jarrett Culver (and yes I know there are other players in this conversation). But Shayok (19.5 ppg) and Culver (18.7 ppg) were two of the three highest-scoring players in the league. They played like it. Shayok ended up with 20 points and 6 rebounds. He made half his baskets from beyond the arc but I felt he was just as effective driving to the basket. 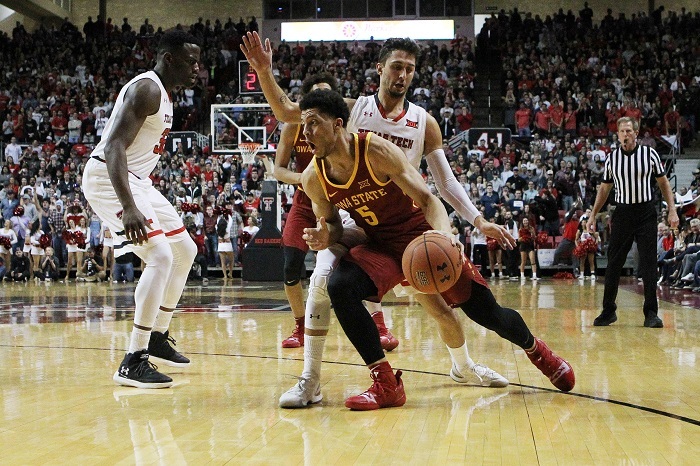 As one of the team’s best free throw shooters, he had the presence of mind to ask for the ball on ISU’s final two possessions so he could get to the line. He made three of the four and helped ice the game. Jacobson, meanwhile, had a great night inside, notching a double-double with 14 points and 10 rebounds. ISU played just seven players, but everyone scored while Nick Weiler-Babb and Lindell Wigginton added 11 points each. Culver had a double-double, scoring 20 points and grabbing 16 rebounds. But it wasn’t an efficient night, as he shot 7-of-21 from the floor and a horrible 5-of-10 from the line (we’ll get to the free-throw shooting, I promise). Was Culver selfish, as one Twitter person said to me after the game? I don’t necessarily agree with that, but I will say there were times in which Tech was over-reliant on their best player. It’s hard to blame them. After all, Culver’s play helped them win two of their last three games down the stretch. But there is danger in getting unbalanced. And Tech doesn’t need to be guilty of that in the future. Davide Moretti scored 10 points. Kyler Edwards added 9 points, Matt Mooney had 8, Tariq Owens had 7 and Brandone Francis had 6. 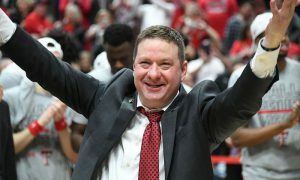 Plus, Tech head coach Chris Beard burned Khavon Moore’s redshirt, playing him two minutes. So expect to see a bit more of him. Beard may look for a bit of a recalibration going into Saturday’s game with Baylor. 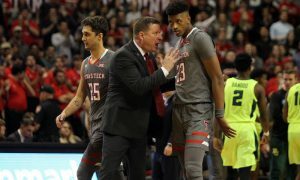 Because when he and the coaching staff look at the raw numbers they’ll see a common denominator in the Red Raiders’ two losses — Culver took 21 shots. Is that a coincidence or a trend? Only time will tell. Step 3 for ISU in this one was catching Tech on a night in which it was horrible from the free throw line. You don’t expect a team that shoots 71 percent from the foul line for the season to shoot 40 percent from the line (6-of-15) at home. But that’s what happened to Tech. The Red Raiders actually got into the bonus with 7:29 left in the game and down 6. Tech had been called for just two fouls at that point. 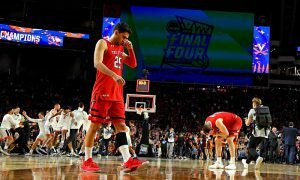 That was a golden opportunity to get back into the game, but the Red Raiders didn’t capitalize. Down the stretch they were just 5-of-10. If you’re looking for the difference in the game, there you go. And yet Tech managed to tie the game with consecutive layups by Mooney and Culver with 1:51 left. But Iowa State answered right back. Texas Tech helped ISU out, oddly, by taking a time out right after Culver’s game-tying layup. It gave head coach Steve Prohm the perfect opportunity to settle his team down and get them in the right full-court play. Weiler-Babb came right out of the time out with the jumper to give ISU the lead. After Jacobson blocked Culver’s layup, the Cyclones came right back down on the other end on the fast break and got an alley-oop layup from Wigginton. It was nice to see that, in crunch time, the Cyclones turned to two of their most experienced players for help. Even better that freshman Tyrese Halliburton knew to feed Wigginton in that situation. Iowa State needed this win. The Cyclones had lost two straight and had dropped out of the Top 25 as a result. They get an undermanned Oklahoma State team (more on that below) on Saturday at Hilton Coliseum. A win there might just nudge the Cyclones back into the Top 25. I don’t see Tech dropping that far in the Top 25, assuming they beat Baylor on Saturday, a game in which they should have the advantage despite being on the road. Meanwhile, in Norman, Okla., I think we can safely say that Kansas State forward Dean Wade is back now. In reality, the game really wasn’t that close. Kansas State (13-4, 3-2 in Big 12) shot out to an 8-0 lead and never surrendered it. The Wildcats were up nine at the break and, despite the Sooners (13-4, 2-3) cutting the lead to six points early in the second half, the Wildcats never trailed. That’s hard to do in the Big 12 these days. Barry Brown Jr. led the Wildcats with 25 points and 5 assists, but the return of Wade makes K-State whole again and the Wildcats have now won three straight games. Head coach Bruce Weber can now use his team as he originally intended at the start of this season, plus the bench is a bit deeper now that they received some additional experience during Wade’s absence. Makol Mawien pitched in 8 points and 8 rebounds. The Wildcats shot 50 percent from the field and 45 percent from the 3-point arc. It’s possible we see the Wildcats slide into the Top 25. The win over OU represents the Wildcats’ second straight road win over a ranked team (they beat then-No. 20 Iowa State in the previous game). As for Oklahoma, the issues were clear to see in the box score. 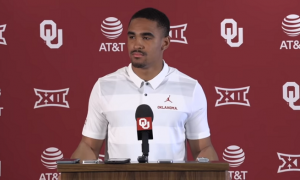 Despite shooting a solid 46.8 percent from the floor the Sooners were 27.8 percent from the 3-point line and 52.2 percent from the foul line (foul shooting was a common thread Wednesday night for the losing teams, apparently). 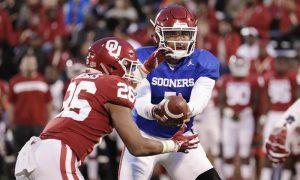 Plus, the Sooners turned the ball over 16 times and were outrebounded 31-28. It didn’t really matter that Christian James had another great night, scoring 20 points including a 9-of-11 night at the free-throw line, or that Rashard Odomes scored 17 points off the bench on 8-of-10 shooting. The other deficiencies nullified those great nights for the Sooners. Oklahoma travels to Texas for a night game on Saturday while Kansas State hosts TCU. One major note in the Big 12 on Wednesday was Oklahoma State dismissing three of its players for a violation of team rules. Michael Weathers, Maurice Calloo and Kentrevious Jones are no longer Cowboys. Losing Weathers hurts right now. He was averaging nearly 10 points per game. 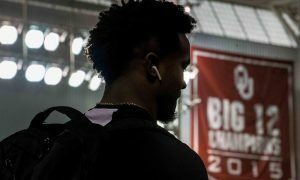 Calloo and Jones, both freshman, were theoretically part of OSU’s future and represent a serious ding in Boynton’s 2018 recruiting class. Finally, if you missed my appearance with Brandon Lowe on his radio show in Charleston, W.Va., here’s the link on Twitter. Brandon appears on WBES radio in the afternoons and his show can be heard on 95thesportsfox.com if you’re not in West Virginia. As you might expect, we talked a lot about West Virginia’s huge loss to TCU and what it means for the rest of the Mountaineers’ season.